Here’s the scoop…there are several ice cream shop options out there in the Greater Cadillac area to cool down on these hot summer days. Take a tour and check them all out! Cadillac Ice Cream Co. – Cadillac Westside: [M-55/M-115, Cadillac, MI 49601 231-775-7151] At the corner of M-115 and M-55, indulge in over 32 hand dipped Michigan flavors and homemade waffle cones and generous portion sizes. 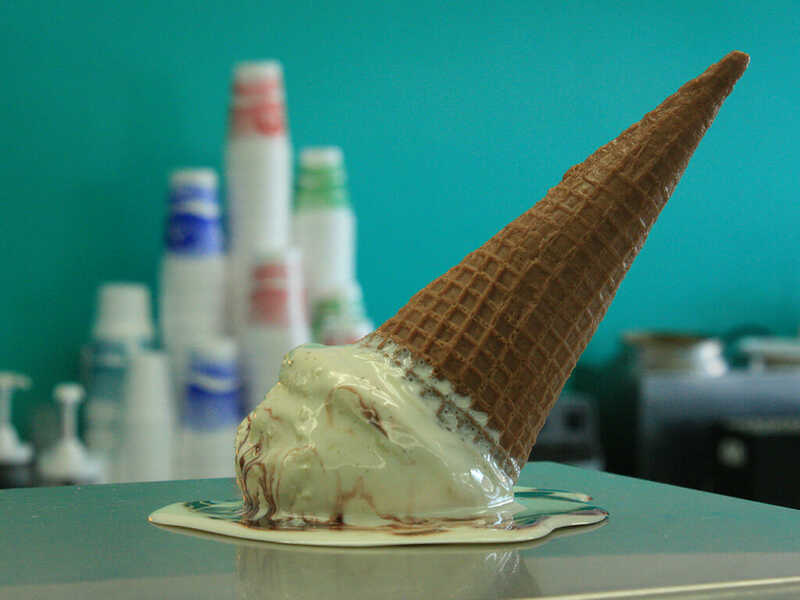 Tasty Treat #ThePeoplesPlace – Lake City: [120 Main St. Lake City, 49651 231-839-7330] Known for having the largest cones in the North, Tasty Treat serves all Michigan made ice creams-Hudsonville, House of Flavors and Ashby’s. Simply Delightful – Cadillac downtown: [112 N Mitchell St. Cadillac, MI 49601 231-775-1660] Stop in for Michigan’s House of Flavors & Moomers Ice Cream but don’t forget to try some handmade chocolates and fudge. 4. Cheryl’s Landing – On Lake Cadillac [1749 North Blvd, Cadillac, MI 49601] Located right on Lake Cadillac, you can pull up and dock you boat to enjoy hand dipped House of Flavors ice cream right on the water. 5. Cadillac Java & Java Too – Cadillac Downtown [725 N Mitchell St, Cadillac, MI 49601] & Westside [6319 E. M-115, Cadillac, MI 49601] Not only can you get your caffeine fix at Cadillac Java and Java too, but you can also cool off with ice cream cones, sundaes, shakes and malts, and the specialty Java Mud Slide: a delicious blend of chocolate ice cream, milk, and espresso. 6. The Sweet Shop – Cadillac downtown: [111 S Mitchell St. Cadillac, MI 49601 231-775-2201] Serving the community with delectable treats for over 50 years, The Sweet Shop just welcomed 12 flavors of Moomers Ice Cream to their menu. 7. Rosa Blanca Bodega & Eatery – Cadillac west side: [2420 Sunnyside Dr. Cadillac, MI 49601 231-779-1570] Enjoy a full course meal but stay for the Michigan made ice cream and one-of-a-kind ice cream sundaes. 8. Twisted Cow – McBain: [123 N Roland St. McBain, MI 49657 231-825-6000] A fun spin on ice cream humor, the Twisted Cow offers unique flavors and popular Super Sundaes as well as daily specials. 9. Thirsty’s Elmrest Party Store – Cadillac westside: [1507 S Lake Mitchell Dr. Cadillac, MI 4906 231-775-3039] The only place in town that has homemade, hand-dipped ice cream. Thirsty’s has everything you could need on your trip to Cadillac. 10. 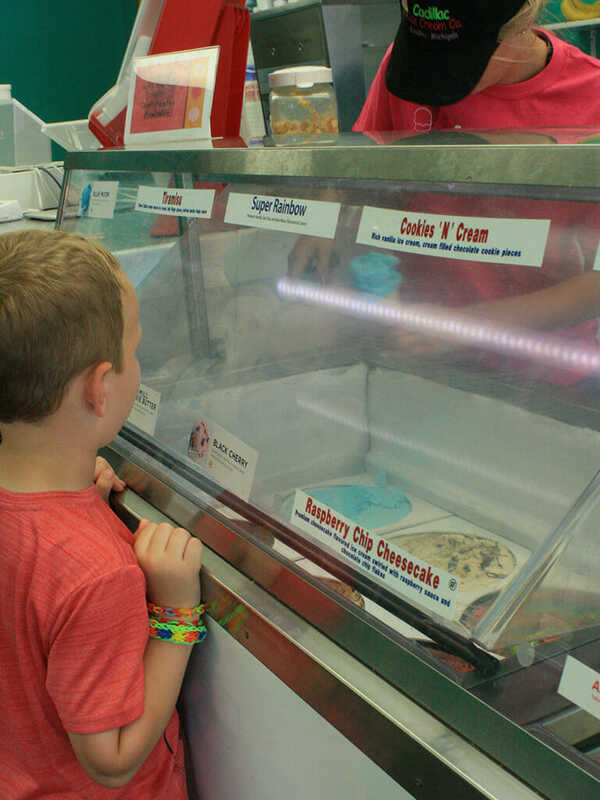 Dairy Land Ice Cream Shop – Buckley: [385 W Wexford Ave. Buckley, MI 49620 231-269-3912] Cool down with a sweet treat from Dairy Land where you can choose from tons of different and delicious flavors or grab a bite to eat with your dessert. 11. Dairy Queen Ltd Brazier – Cadillac Downtown: [901 S Mitchell St. Cadillac, MI 49601 231-775-4602] Ice cream “royalty” specializing in soft serve ice cream cones and famous Blizzards. 12. Frosty Freeze of Marion – Marion [116 W. Main St., Marion, MI 49665] Stop in to escape the summer heat and enjoy old fashioned malts, or any of the variety of special ice cream items they offer daily. 13. Dairy Station – Tustin [100 W. Church St, Tustin, MI 49688] Stop in for the great variety of ice cream they offer, but keep coming back because of the excellent and friendly service. Life is uncertain, eat dessert first. 14. Manton Dairy Bar – Manton: [603 N Michigan Ave. Manton, MI 49663 231-429-6741] A small but delicious family owned shop serving Michigan-made ice cream to the Manton area for 17 years. With over 25 specialty flavors and tons more classics, you’ll always find something to cool off with here. 15. 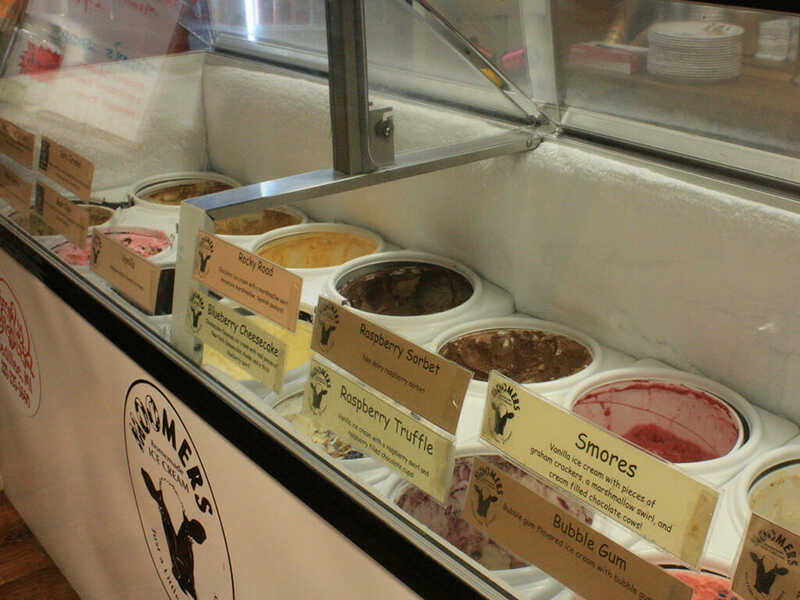 Latitude 44 – Manton [308 Wall St., Manton, MI 49663] Stop in to enjoy hand-dipped ice cream, a variety of flavors, and their specialty: The Sleeping Bear Supreme. 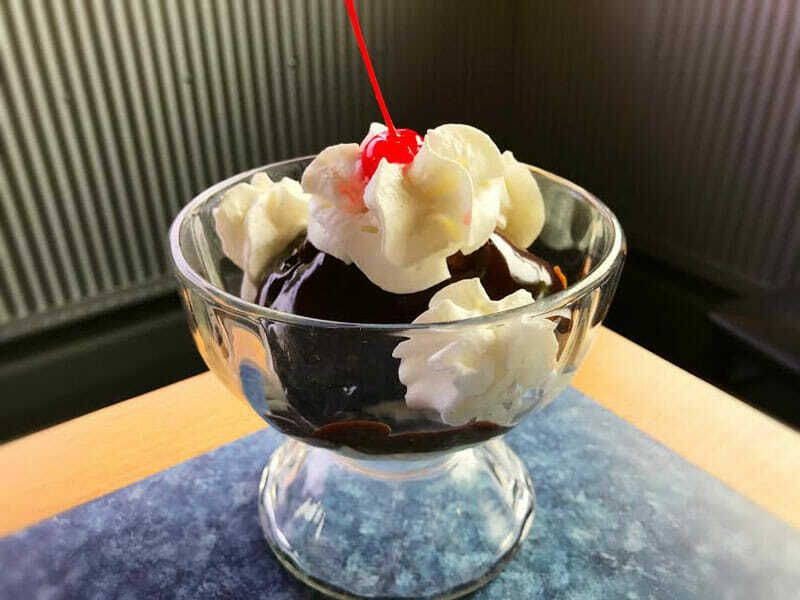 If there are other Ice-cream parlors within the 20 miles of Cadillac, please let us know so we can update and keep everyone’s palates schmoozed with cool refreshing ice cream. Erica Benham is a senior at Central Michigan University studying Public Relations and Journalism.  She’s enjoyed her summer in Cadillac as an intern at the Visitors Bureau and wishes the best to the Cadillac community.